Note - This is an incomplete project. Information is added as found. Some Grounds turned over to military causing some clubs to play home games at different venues. M.C.G., Lake Oval, Albert Park, Western Oval among others. 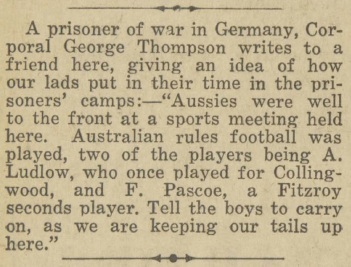 During the Second World War Australian Rules Football was played by army units around the world, in rear areas and in Prison Camps. Footballers who joined up were soon drafted into local team. 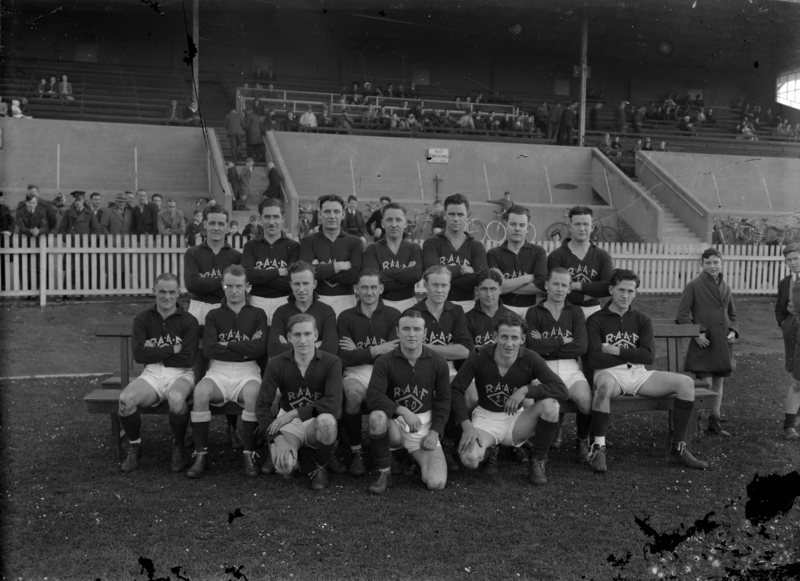 Many Australians who enlisted in the Second World War belonged to Football clubs. 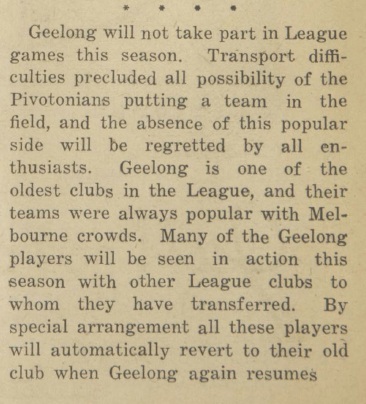 Many Clubs and Leagues found it difficult to field sides. 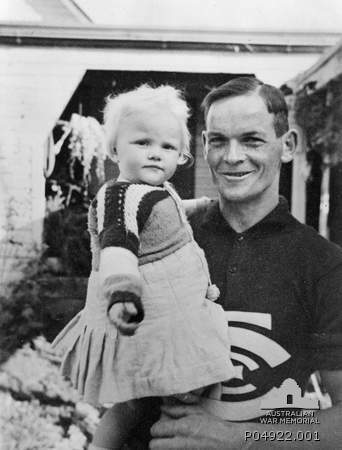 Players, ex-players, Coaches, Officials and supporters served in the Military and services. 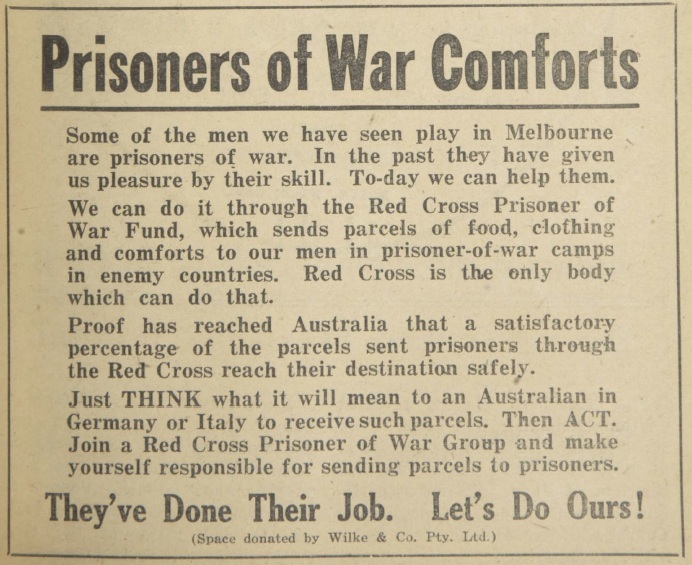 It is beyond the scope of this article to list all those with links to organised football who served or were affected by the Second World War. 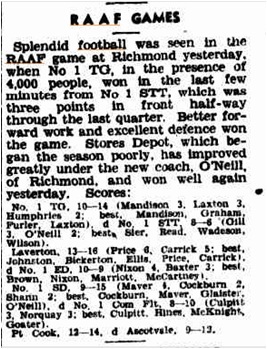 See Combined Services v Richmond 12-Jul-1942 Souvenir Record for the list of players on the Services Team, including Ron Todd, Bob Pratt, Laurie Nash, Allan LaFontaine, Phonse Kyne, Alby Pannam and Stan Judkins. 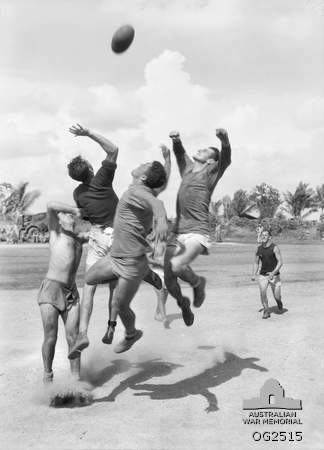 During 1942 an Interservices competition was run on Sundays. Many big name players played in the competition and after a slow start it quickly became popular. Charles Boyles took a number of team photos during the competition. 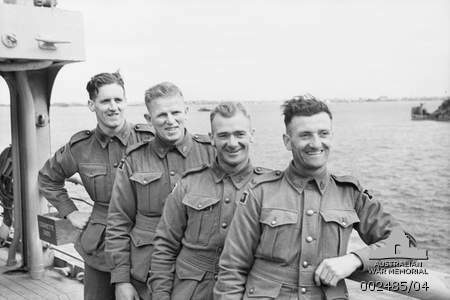 The RAAF Competititon played a regular competition in Melbourne during WW2. 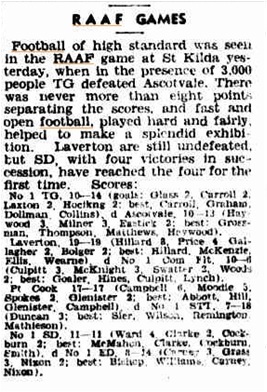 A review of the 1943 Season provides an insight into the competition.